Researchers at the Okinawa Institute of Science and Technology Graduate University (OIST) have recently identified the genes that allow jellyfish to break free and swim away from the ocean floor, which they are anchored to in the earliest stage of life. The specialized genes enable the jellyfish to transform from stalk-like structures rooted in sediment to the bell-shaped creatures that glide through the sea. While anthozoans such as anemones and corals live out their lives in an immobile polyp state, jellyfish are able to advance into the medusa stage. 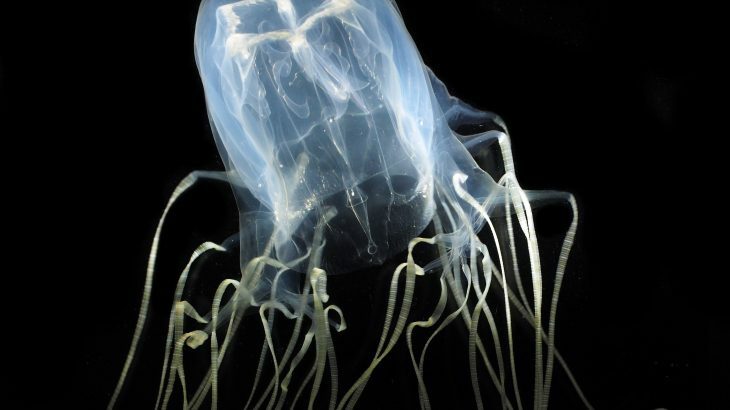 The researchers set out to investigate what gives jellyfish this ability by analyzing the genomes of a moon jellyfish and a giant box jellyfish. “By comparing two different types of jellyfish we expected to identify some universal rules on how to make a medusa stage,” said study first author Dr. Konstantin Khalturin. As a jellyfish exits its polyp stage and leaves the ocean floor, different genes are activated to assist in its development. To pinpoint these specialized genes, the researchers compared the complete gene sequences of a moon jellyfish from the Baltic Sea and a giant box jellyfish from Japan to the gene sequences of corals and anemones. “We expected that the genome organization in the two jellyfish would be more similar to each other than to the genomes of sea anemones or corals,” said Dr. Khalturin. By contrast, the genetic composition of the two jellyfish was drastically different, while the moon jelly was found to closely resemble anthozoans. 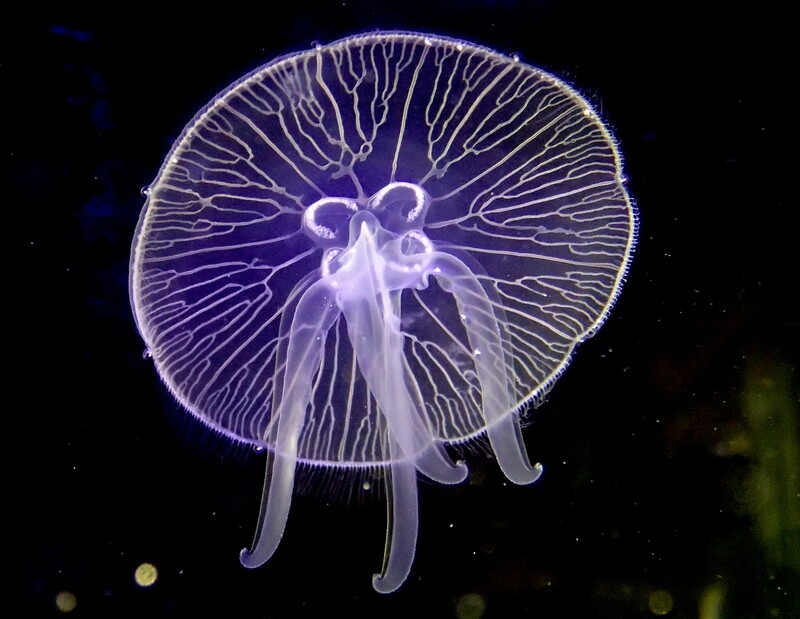 Ultimately, the team discovered that coral and anemones contain about two-thirds of the genes active in the medusa stage of the moon jellyfish. However, an additional arsenal of genes was found in moon jellyfish that were absent in the anthozoans. Corals and anemones lack the genes to grow certain organs and tissues, such as eyes and specialized swimming muscles. Both types of jellyfish had species-specific genes that only switch on during their jellyfish stages. The experts hope that future research could give scientists a better understanding of how jellyfish evolve.